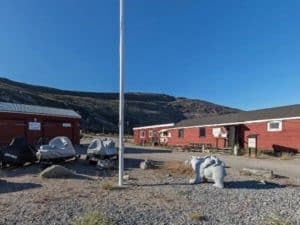 Just north of the arctic circle in Greenland lies the old American military base “Søndre Strømfjord”. 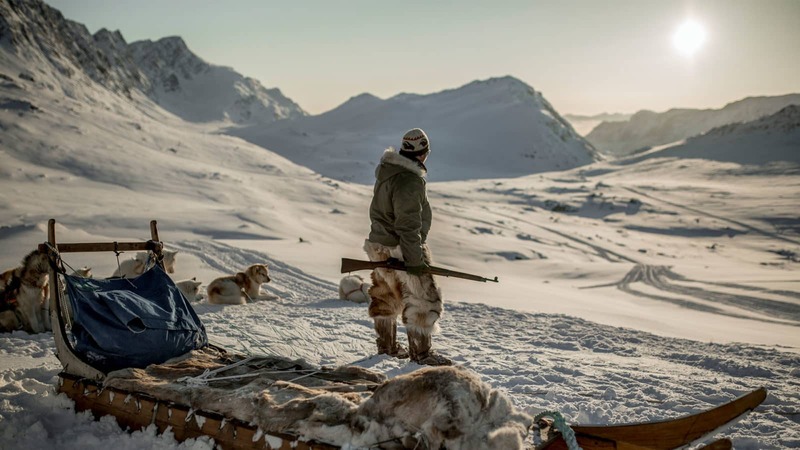 Today the base is owned by the Greenlandish people and is called Kangerlussuaq, which also is the name of the network of fjords that starts a few km off base. 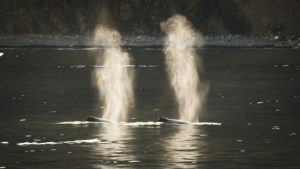 The area offers wild arctic nature in close proximity to the Ice Cap. 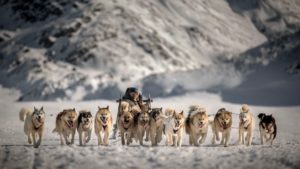 The wildlife here is some of the best and most varied in Greenland with around 20.000 Musk Ox, plenty of reindeer, polar foxes and snowhare. 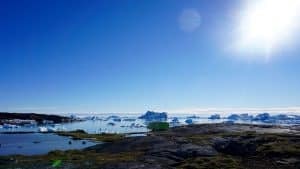 The winter in Greenland is famous for its fresh crystal clear blue skies, and you wouldn’t believe it; lots of sun! Perfect for winter activities such as dogsledging and snowscooters. 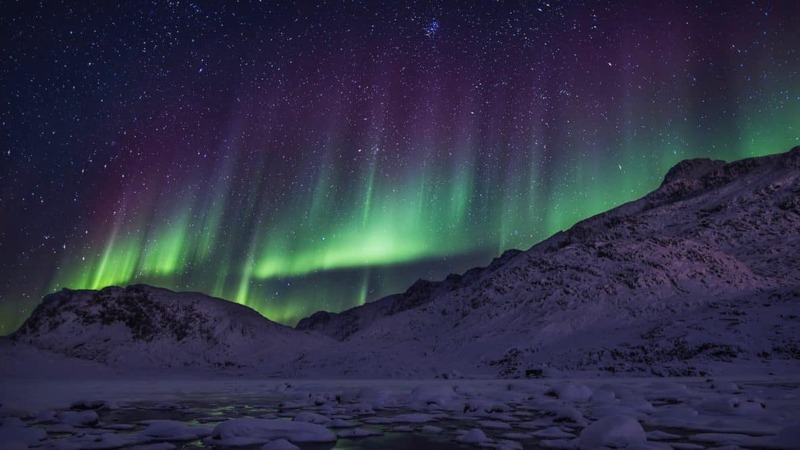 Kangerlussuaq has arctic inland climate and is one of the best spots in Greenland to experience northern Lights. In fact the biggest weather station in Greenland is positioned here, to better study the nothern lights. Flights from Copenhagen at 09:00am, arrival in Kangerlussuaq at 09:50am local time. From the airport you will be picked up and transfered to Old Camp, which will be your home for the next for nights. 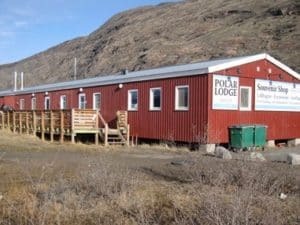 Old Camp is a cozy hostel with double rooms, and bathrooms in the hallway, and newly renovated in 2014. There will be a briefing of the coming days activity, once we have settled in. The breakfast is included. After lunch its time to to enjoy the city. Kangerlussuaq is a former American air base up to 1992, but today it is the main airport of Greenland. The guide will share exciting stories, starting from the origins of the base, from the second World War to the Cold War, into a modern international airport. 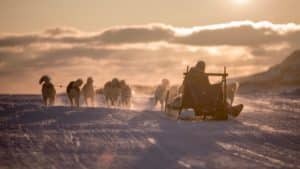 We are soon to arrive out to the fjord, and the little science city Kelly Ville, the old base and dog farms were we will come close to the Greenlandic sled dogs. The evening program will be a northern light trip, were we will drive out to cottage in the sounding hills, far away from the city light. 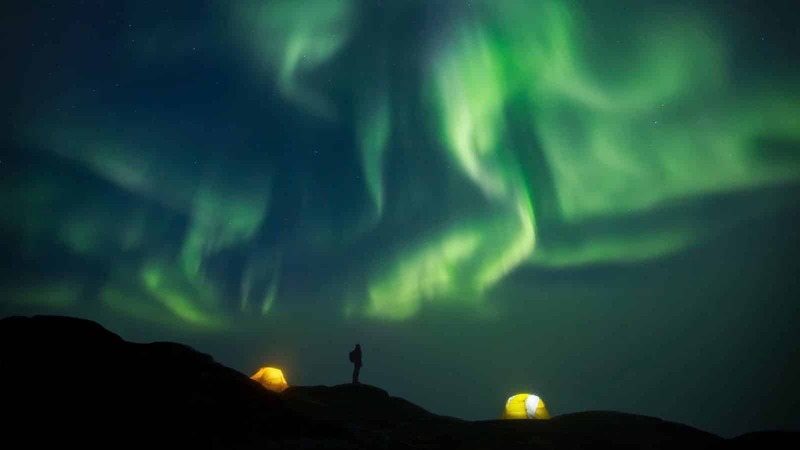 This is the best place to to see the northern lights, and wile we wait, you get served a Greenlandic coffee. (NB. There is never a guarantee to see the northern lights, and if the situation looks better one of the other nights, the event will be moved). Breakfast at the hostel. 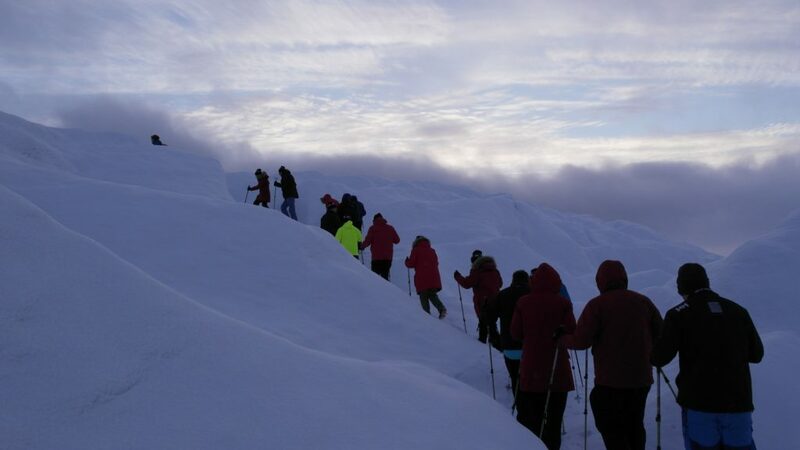 The day offers one of the tour’s big experiences, the Greenlandic Ice Cap! 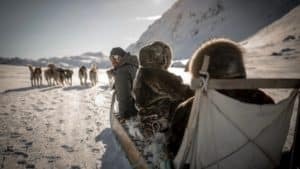 Kangerlussuaq has Greenland’s longest road network that makes it possible for os to go with a four-wheel drive bus can come right up to the edge of the ice. The trip goes through the beautiful mountains overlooking the lakes and the ice cap in the distance. If we are lucky , we will see both reindeer and muskox on the road. We will croos the glacierfront and go up on the icecap , where we will have an impressive view out over the ice masses. Did you know that the ice sheet is more than 3 kilometers thick at its highest point? Breakfast at the hostel. Well dressed in warm clothes you will follow our local nature guide on a hike into the Arctic tundra. We start the walk where the gravel road ends at the lake Tasersuatsiaq. The altimeter reads 300 meters and we have a view of the river Qinnguata Kuussuaq and the ice cap in the distance. We follow the lake shore or we will cross the ice to the other end of the lake, here we go up a bit in the terrain, where we have beautiful views of the area. Along the way we stop at an old summer camp where we can see relics from the Inuit culture. 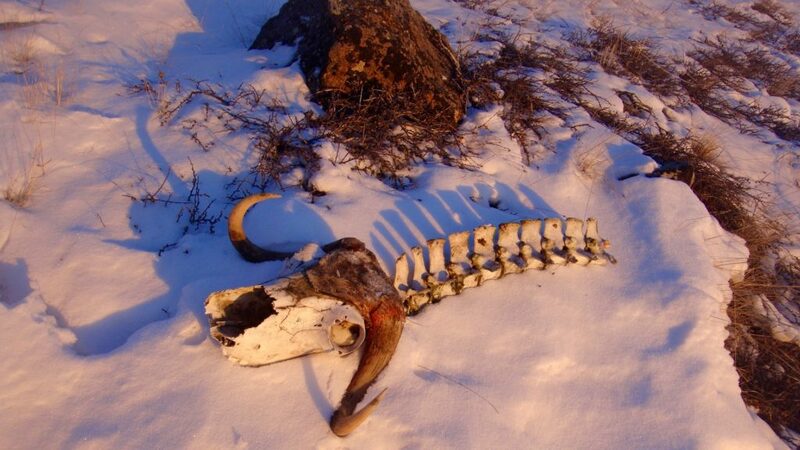 If weather permits we make lunch over a fire, which may be musk ox, reindeer and arctic hares. (If the the weather is not good for fire, we bring sandwiches). Breakfast at the hostel. Today, there’s another of the highlights, namely dogsled! 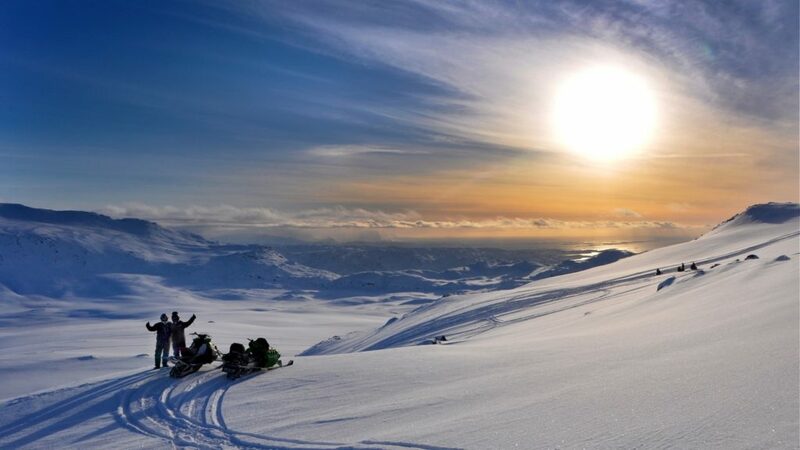 Together with local sled drivers you will be driving in the fjord thick sea ice, surrounded by high mountains. 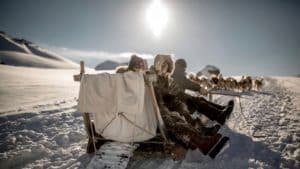 Provision of warm seal skin clothing and boots is made for you for the trip, so you can just site back and enjoy the view from the sled. 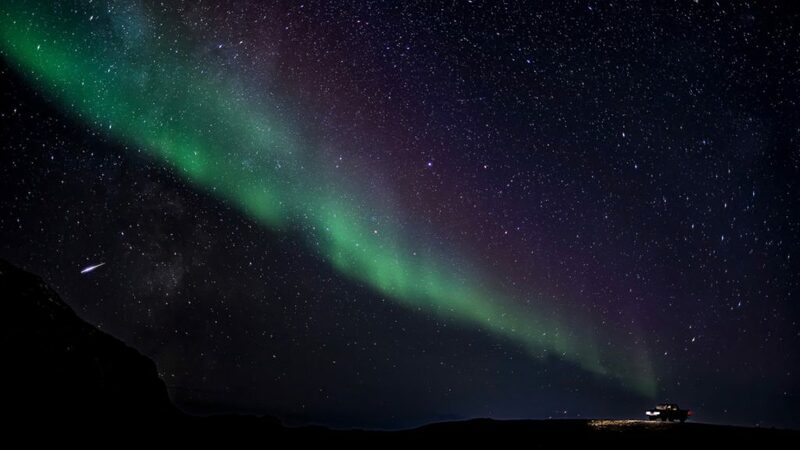 Northern light evening tour incl Greenlandic coffee. Trip to the ice cap (possible to add DKK 390,- for a whole day trip on the ice cap). For full board incl the great Greenlandic buffet Sunday, DKK 1215,- (you can pay this directly to the restaurant).